Astelia chathamica Silver Spear is worthy of specimen status. The silver foliage is very striking. Astelia Silver Spear grows well in full sun near the coast but seems to prefer some afternoon protection for inland gardens. Plants do well in rich soil, with regular moisture. 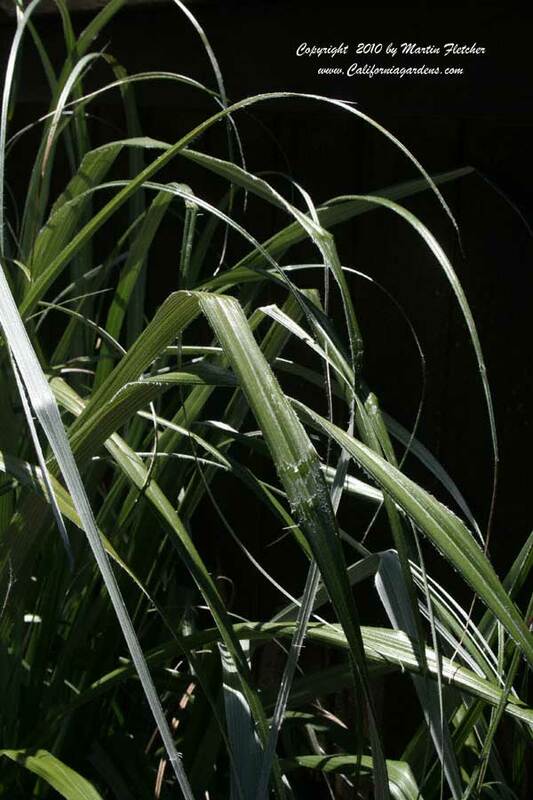 Once established Astelia Silver Spear becomes pretty drought tolerant. Astelia can grow 4-5 feet tall and wide. Old foliage should be removed, some care though as the edges of the leaves can cut. Astelia Silver Spear is Winter hardy into the low 20°s F.
Silvery foliage of Astelia chathamica Silver Spear or just Silver Spear. High resolution photos are part of our garden image collection.